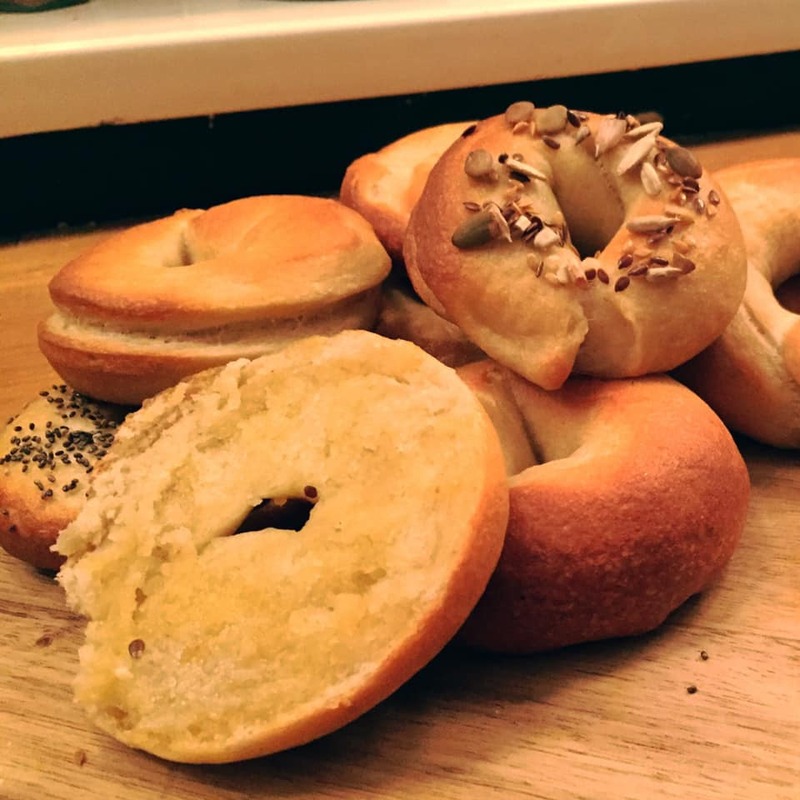 So last night was my first attempt at bagels! Super simple to whip the dough up, just tricky to get the ring shape – apparently there is a better technique where you make them into balls, stick your finger in and swirl it round… gonna try that next time! Porridge is my breakfast staple! NB. 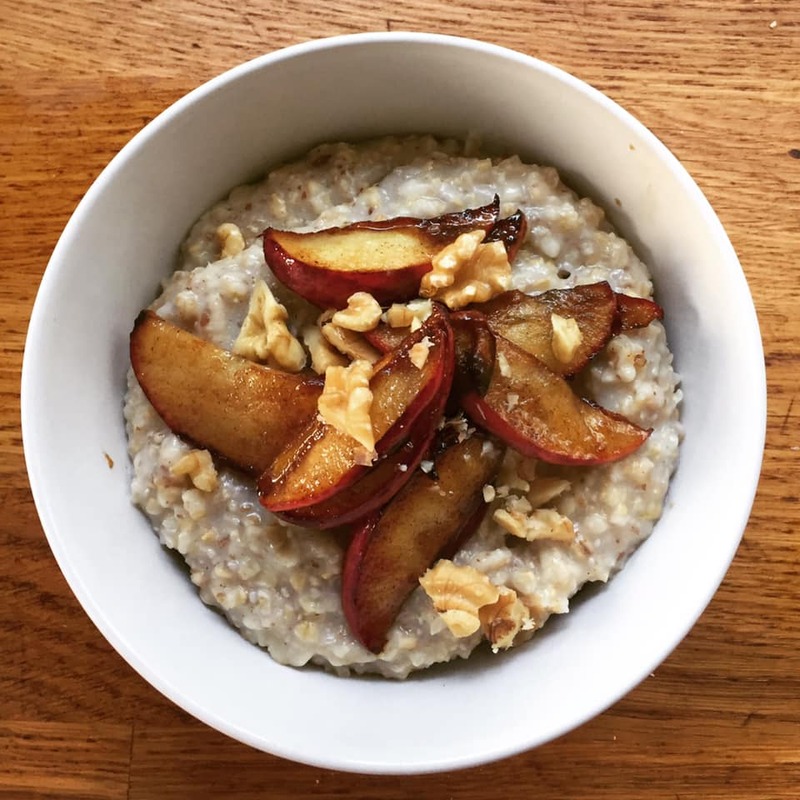 I just use water for my porridge as I find it creamy enough, but your favourite plant-based milk would work just as well! Throw the mushrooms in a pan with some salt and olive oil and cook for 5 mins. Then add the garlic and thyme and cook for another 2 mins. 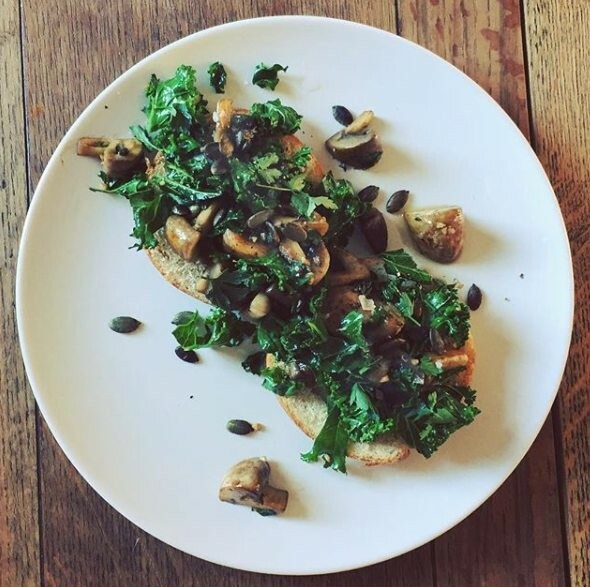 Finally throw in the kale just to warm through, put on top of a toasted bagel (toast!) and sprinkle with pumpkin seeds and parsley! I toast a load of pumpkin seeds so they brown and pop, then keep them in a Tupperware so they’re ready to eat! So much tastier when toasted! 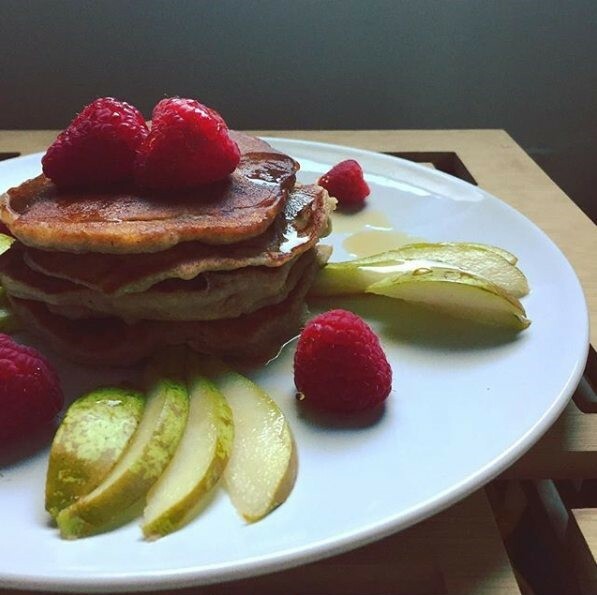 Who doesn’t love pancakes for breakfast?? The batter for these comes out super thick so you could get inventive with your pancake shapes too! Looks Yum, I’ll try these out at the weekend.